It is a packaging machine that removes oxygen from the container prior to sealing. The intent of this method is to extend the shelf life of perishable goods by limiting the growth of aerobic bacteria or fungi and preventing the evaporation of volatile components. For non-food items, this method reduces the volume of the package by compressing the contents. 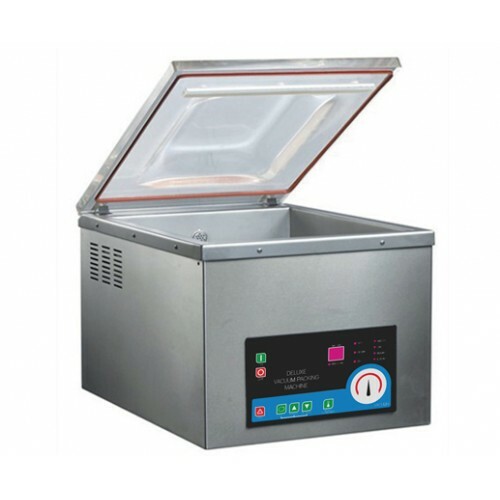 There are many types of vacuum machine Ssangleong can offer, Table top model, Standing model, Double Chamber and Vacuum Sealer. For detailed specification of the machine, please contact us.